Back-Up Camera, Rear Air. FUEL EFFICIENT 22 MPG Hwy/16 MPG City! NORTHSKY BLUE METALLIC exterior and JET BLACK interior, LT trim SEE MORE! 4x4, Rear Air, Back-Up Camera, Turbocharged, Onboard Communications System, WiFi Hotspot. CONVENIENCE PACKAGE includes (CJ2) dual-zone automatic climate control, (A2X) 10-way power driver seat including power lumbar, (KA1) heated driver and passenger seats, (KI3) heated steering wheel, (N37) manual tilt/telescoping steering column and (USS) 2 charge-only USB ports for second row, (C49) rear-window defogger, (KPA) auxiliary power outlet, (ATH) Keyless Open and Start, (NP5) leather-wrapped steering wheel, (N06) steering column lock, (BTV) Remote Start, (UTJ) content theft alarm, (AZ3) front 40/20/40 split-bench with underseat storage, (QT5) EZ Lift power lock and release tailgate and (UF2) bed LED cargo area lighting, WHEELS, 20" X 9" (50.8 CM X 22.9 CM) PAINTED ALUMINUM with machine face and Argent Metallic pockets, ENGINE, 5.3L ECOTEC3 V8 (355 hp [265 kW] @ 5600 rpm, 383 lb-ft of torque [518 Nm] @ 4100 rpm); featuring all-new Dynamic Fuel Management that enables the engine to operate in 17 different patterns between 2 and 8 cylinders, depending on demand, to optimize power delivery and efficiency, KEYLESS OPEN AND START, AUDIO SYSTEM, CHEVROLET INFOTAINMENT 3 SYSTEM 8" diagonal color touchscreen, AM/FM stereo. Additional features for compatible phones include: Bluetooth audio streaming for 2 active devices, voice command pass-through to phone, Apple CarPlay and Android Auto capable. (STD), TRANSMISSION, 8-SPEED AUTOMATIC Privacy Glass, Steering Wheel Controls, Electronic Stability Control, Heated Mirrors, 4-Wheel ABS. 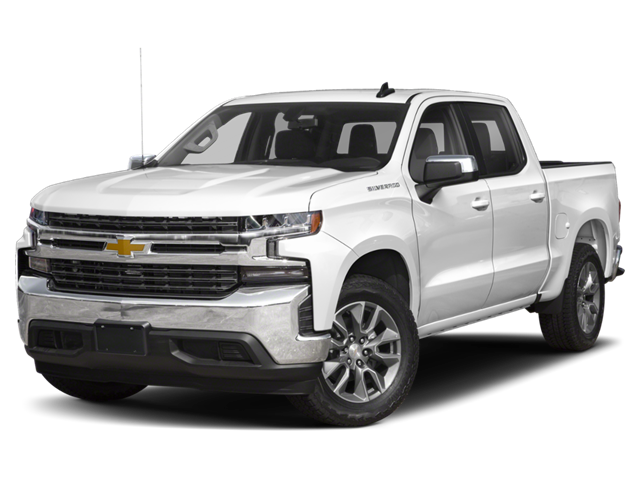 Hello, I would like more information about the 2019 Chevrolet Silverado 1500, stock# CT2505. Hello, I would like to see more pictures of the 2019 Chevrolet Silverado 1500, stock# CT2505.